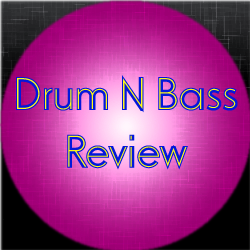 This review covers the drum n bass track Dimension Ft. Bailey Tzuke – All I Need (Club Mix). This track was released in 2013 along with the track Basilica. The track starts off with some of the main melody as well as some vocal samples. It then goes into a vocal portion. It eventually goes into a full-fledged drum n bass sound, but it takes well over a minute to get there. Suffice to stay, the structure is not exactly typical of a drum n bass track structure. In terms of raw listening, this isn’t a bad thing, though from a DJ perspective, it might be a little less friendly to mix with unless you are willing to axe a quarter of the track. Moving onto the main melody, it was pretty good. It wasn’t huge, but it was nice to hear some thought was put into something like that. It really added some balance in the overall listening experience. The vocals were pretty good. They had that uplifting sound to them which was nice to hear. For me, this track does tick every box in terms of elements that I think makes for a great track, though it had that feeling of being short-lived. I’m not sure if it was because the different sections weren’t as pronounced as I’d like to hear or if it was because the ending was abrupt or even if it’s because the track is technically a little on the short side. There is something about this track that is stopping me from really liking this track and I’m not entirely sure what it is. Still, it is a very good track in my books. While I’m not quite jumping up and down with excitement over it, it still has all the elements that make for a great track. A track that is definitely worth listening to.